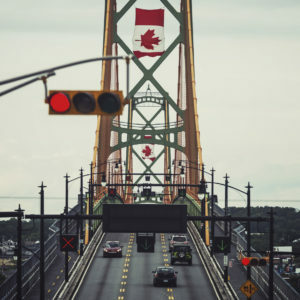 Recognizing the boom in automaker collision repair certification networks, the Automotive Industries Association of Canada announced Friday it would develop a national accreditation standard this fall. AIA senior industry programs director Andrew Shepherd gave a little more insight in an interview Monday, though he said he couldn’t reveal too much at this phase and not all decisions about the program were finalized. Shepherd said the AIA “has developed a unique relationship with the Canadian collision repair industry” which has allowed it to launch items like the Canadian Collision Industry Forum (a sort of Canadian Collision Industry Conference) and I-CAR Canada. In this case, multi-shop operators had asked for some sort of industry standards, and the AIA itself was obviously aware of the intense OEM interest in collision networks, Shepherd said. He said insurers also were seeking guidelines as well. “The need for a standard is not in opposition,” he said. The AIA has contacted automakers about its interest in an accredition program, and “we’ve had expressions of interest from the OEs.” The organization hasn’t yet talked to insurers. “There’s a real optimism that this can be a solution that serves everyone,” he said. However, he said it would give weight to conducting a proper repair through means like OEM procedures. Speaking of OEM standards, U.S. repairers will really benefit from watching the highlights reels from CCIF. Here’s our coverage of the OEM footage from an earlier version of the CCIF videos page— which has since been updated with some new fun, fascinating and provocative stuff, including these two compilations. Much of this information will likely be applicable to the U.S.; though some is Canada-specific.